Trex composite decking materials have a virtually indestructible shell that will never require any sanding, staining, or painting. And a Trex deck easily cleans with soap and water. Select Decking is made of 95% recycled materials, including sawdust and plastic bags. Trex is the first composite decking company to receive the LEED certification. Select Decking is engineered with a low sheen, high definition wood grain pattern that comes in five rich earth tones and five new tropical hardwood colors. 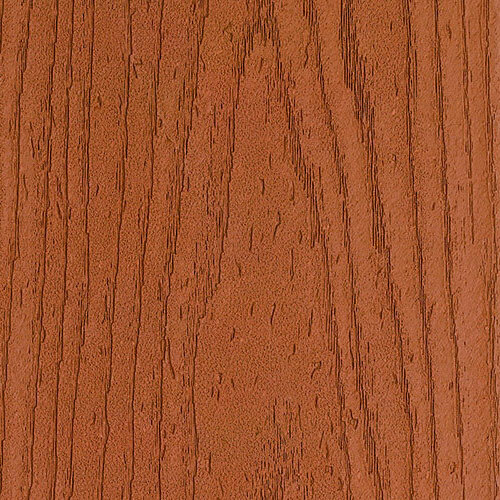 Trex Select has the elegant beauty of a subtle wood grain. Soft underfoot and splinter-free, Select gives you the look of a wood deck without the maintenance. Not to mention the easygoing luxury of engineered durability. Unlike Trex Transcend, Select will fade over time. However, Trex has intentionally over pigmented their deck boarding so it will fade to their intended color.